The List Finder is getting noticed by more people every day. National Public Radio has called it the Google of Mailing Lists and the Direct Marketing Association gave NextMark the Future Innovators Award for creating it (among other things). End the debate. Snail mail is here to stay. Posted in Culture and Society, Current Affairs, Economy, Helpful Advice, Industry Observations | Comments Off on End the debate. Snail mail is here to stay. The best kept secret in marketing? NextMark's mailing lists search tool (on the web at http://lists.nextmark.com/) is a free marketing tool that has been described as "the best kept secret in marketing." Why is this website a secret? In truth, it's not. In fact, google "buy mailing lists" and you'll find it right there at the top of the most relevant results. But most marketers don't realize that an index of mailing lists exists and don't even bother trying to find it. I've learned of enterprising individuals exploiting this knowledge gap and charging $50 or more to reveal this "secret tool" to you. I've looked into this scheme and there's nothing technically illegal about it, but it seems wrong to have to pay money to get a web address. Please spread the word that the mailing lists search tool is free and available to any marketer who is looking for mailing lists. Posted in Bad guys | Comments Off on The best kept secret in marketing? Mailing list quality vs. data card quality — what’s the difference? It's simple. A data card is the marketing document that describes a mailing list. A quality data card does not guarantee a quality mailing list, but you can have a top quality list that is neglected from a marketing perspective (i.e. a poor quality data card). First impressions count, and the data card is most often the first impression that a broker or mailer receives when researching new test lists for a direct marketing campaign. To be blunt – you wouldn't serve a T-bone on a trash can lid, would you? I'm not sure everyone thinks this way when it comes to data cards. 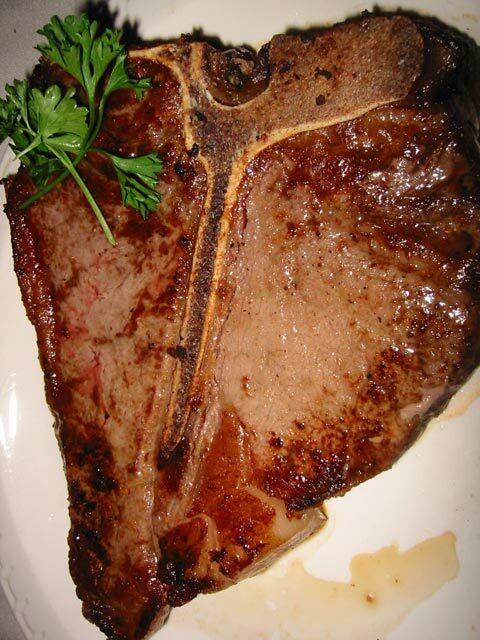 The t-bone steak represents a quality mailing list with an exceptional test-to-continuation ratio. The trash can lid represents a neglected data card for that same mailing list. Think about this analogy from the perspective of a list broker or mailer. You select a mailing list of active subscribers that matches your customer profile. The mailing list is marketed by a credible list manager with industry knowledge, a proven track record for customer service, and a diverse portfolio of quality response list titles. Futhermore, the mailing list you selected is known for its success in delivering above average response rates and lifetime value. You are ready to add this list title to your client's new test recommendation. Not so fast! You notice that the data card has not been updated in over 6 months. Furthermore, you are ordering a monthly hotline so you have no idea what range the counts will be in. Needless to say, you're likely to question the validity of the information. You may wonder if the mailing list is still available for rental, or you may find out that the owner of the data card is no longer the list manager because they lost the business to a competitor and never deactivated their version of the data card. That's obviously not something the former list manager would want to promote in the public domain, but it happens. What's the take-away in all of this? It's simple. Keep your data cards up-to-date with quality information on all of the list research channels, especially in the public domain where your content is most visible. A ranking of list managers by data card quality is published quarterly. Posted in Customer Success Stories | Comments Off on Mailing list quality vs. data card quality — what’s the difference? Did you know that anyone with an e-mail address and access to the Internet can secure your brand's name using a free social network service? Someone from Singapore registered as 'nextmark' YouTube and StumbleUpon, but it's not me - I've never even been to Singapore! If a country as strict as Singapore has these 'squatters', then think about the trend that could easily take off. I learned quickly that I'd better take ownership of our brand name on the social networks and get those user IDs and vanity URLs secured. The only problem was that there are hundreds of online networks and I only knew about the obvious ones, like LinkedIn, Facebook, YouTube, Twitter, Delicious and Digg. Fortunately, I found out about a great tool while attending the VT/NH Direct Marketing Group conference earlier this month. It's called namechk. This tool will enable you to check the status of your company name (user name or vanity URL) on 122 social networking and bookmarking sites. It only takes a minute, and you'll be able to see whether or not your name is available for each and every one of the servcies listed. Here's a snapshot of the namechk grid using LinkedIn as the example below. Go to namechk to run your own audit. This is a valuable service. The provider of this service also has a feature where you may request additional services to be added to the list. For example, you may want to request the addition of Plaxo or Vimeo since I know many of our marketing blog readers and mailing list seekers use those tools for business networking and video publishing. Feel free to share your thoughts on this tool. NextMark this week unveiled the much anticipated NextMark Select service at the DMA's DM Days 2009 conference in New York City. Nora Brophy from Cross Country Computer and NextMark's Chris DeMartine (shown above) co-presented to clients including Belardi/Ostroy, Aggressive List Management, IOMA, Estee Marketing Group, and RMI Direct Marketing. Those attending the demonstration were quite enthusiastic, with one list manager describing the new service as "life changing." NextMark Select bridges the gap between data cards and data. This two-way connection automates the tedious administration of data cards and paves the way for new analytical applications, such as advanced mailing list profiling, online custom counts, and online ordering. For more information, visit the NextMark Select page on NextMark's website. This cheat sheet has been revised. Please click Social Media Cheat Sheet for the updated version. Are you spending too much time trying to figure out how to leverage social media for your business? Maybe you are just waiting to see some quantitative results before diving in. You know there's value in doing it, but the perceived ROI doesn't look very good when senior management's time is at stake. This marketing blog will help you get organized before you dive in. Just save this page to your favorite places for quick and easy access to the top services. This is not intended to be a comprehensive list since there are hundreds of social networking sites that may not be as effective for business. It is also important to note that the services listed below are most recognized in U.S. and may not be the top choices internationally. I hope you find this resource helpful. Aggregation Tools: FriendFeed, Lifestream.fm, Lijit, Ping.fm, Socializr, Socialthing! Free Business Listings: BizHWY, Cardboard, Crunchbase, Jigsaw, MerchantCircle, NextMark, Tradvibes, and many more out there! Be careful which URL shortener you use as it may affect your future search rankings. Your feedback is welcome, and encouraged, as to what works best for business. As NextMark's Director of Business Development, I've found LinkedIn and YouTube to produce the best marketing results.